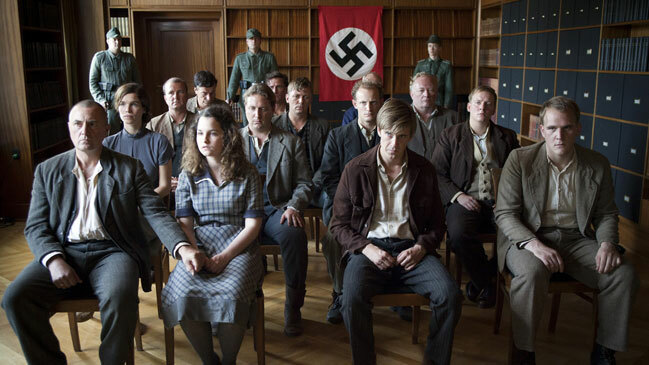 A story about a Danish WWII resistance group gives James Bond a run for his money, if you ask Danish moviegoers. 2012 boasts the highest number of tickets sold in 30 years. Anne-Grethe Bjarup Riis’ This Life, an authentic drama about a pub owner and his family who paid with their lives for fighting in the resistance during WWII was last year’s most seen Danish film. Selling 765,000 tickets, it landed in second place on the 2012 overall top 10 list, hot on the heels of Sam Mendes’ sure-handed Bond romp Skyfall, which had 914,000 admissions. That’s an impressive result for Bjarup Riis, a trained actor making her directorial debut, and also highlights another noteworthy item in 2012: the two best-selling Danish films were directed by women, as Susanne Bier’s romantic comedy Love Is All You Need was a close third. Twenty-one Danish features hit the big screen in 2012, a year that proved that historical dramas do well with audiences. Besides This Life, Nikolaj Arcel’s Oscar contender A Royal Affair, bringing to life a defining moment of the Danish Enlightenment, drew more than half a million moviegoers. Bille August made a royal comeback with his first Danish production in 25 years. Marie Krøyer, about the artist wife of a celebrated 19th-century painter, had 296,000 admissions. Likewise inspired by true events, although in a more general sense, Tobias Lindholm’s modern-day piracy drama A Hijacking reached 140,000 admissions. As the numbers show, 2012 was a really good year at the Danish box office. Danish films sold 4,1 million tickets, the second highest annual admissions for Danish films since 1981, after 2008, for a national market share of 28%. The total number of admissions also landed at a record high for the best result since 1982: 14.2 million tickets were sold at Danish cinemas in 2012, nearly 12% more than in 2011. An impressive six Danish films made it into the overall top 10. Source: Distributors Organisation (FAFID). The official figures for 2012 will be released by -Statistics Denmark in February-March 2013.